Provide comfort for the family of June Graham with a meaningful gesture of sympathy. and wife Becky, Christian and wife Stacye and Mitchell and wife Sandy; son-in-law H. K.
grandchildren and numerous nieces and nephews. Mom, Big Mama, Granny June and Ms.
Cancer Center, PO Box 4486, Houston, TX 77210-4486 in memory of June. Immediately after memorial services, there will be a gathering for food and fellowship at the BREC Flanacher Park at 864 East Flanacher Road in Zachary. 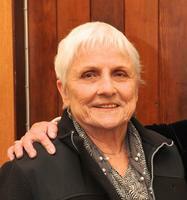 To send flowers in memory of June Bernard Graham, please visit our Heartfelt Sympathies Store. Provide comfort for the family of June Bernard Graham by sending flowers.